It's amazing to me that a film about the global financial crisis of the late 00s is so entertaining it's become one of my favourite films. Also love the appropriate choice of Metal tracks throughout the soundtrack which go a deeper level than just being Burry's background music. 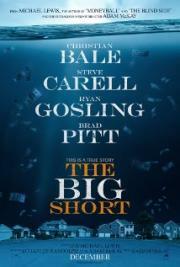 Good film for entertainment + a little intro to 21st century human nature as it is expressed in macro finances. For the curious, the film piques interest by painting the arena in which a trillion dollar fraud occurred but then not even touching the question of who the perpetrators really were, leaving a void of answers and justice for the watcher to consider.